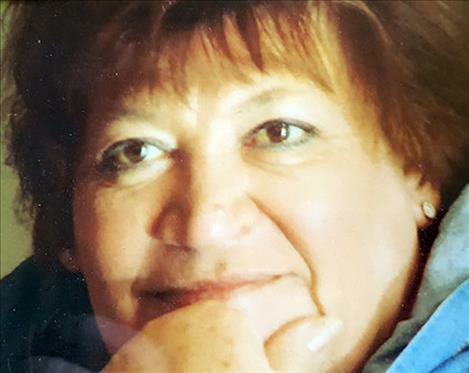 POLSON — Lesa Marie Weddle, 71, of Polson went to fly with her angels on June 12, 2018. She was born in Indianapolis, Indiana, on Sept. 9, 1946. She was a bright and shining light in the eyes of so many and will be missed beyond words. She was happily enjoying her retirement years. She loved traveling to see her sisters, boating, reading, painting, playing cards, and her non-admitted addiction to “Candy Crush.” She was in her happy place being surrounded by family and friends, having good food, drinks and a good card game. She is survived by her daughter, Rochelle (Shelly) Moore and son, Keith Moore, both of Polson. Her grand-puppy, Justin Moore, of Denver, Colorado; her granddaughter, Jessica Moore, and her favorite of all, her miniature English Bulldog Abbey; her sisters, Peggy (Bob) Marty of Aurora, Colorado, Sandra (Bruce) Mannakee of Tucson, Arizona, and Pam Young of Franklin, Indiana. Also surviving are nieces and nephews, Monique Lyons, Chris Fuchs, Kelly (Ron) Bowen, Brian Mannakee, Jeff (Chloe) Boger, Kim ( Jared) Sneed, Kelley (Scott) Robinson, 14 great-nieces and nephews, four great great-nieces and one great great-nephew as well as many amazing friends. She is preceded in death by her parents, Richard K. Hashagen and Esther (Roberts) Hashagen and her granddaughter, Jazmine Moore. In lieu of flowers, donations can be made to The International Heart Institute, 500 West Broadway, Ste 320, Missoula MT 59802. There will be a celebration of her life at noon on Sunday, June 24, at Cheers in Pablo. Messages of condolence may be sent to the family online at: www.lakefuneralhomeandcremation.com. The Lake Funeral Home and Crematory, Polson, is assisting the family with Lesa’s arrangements.